So far I am liking what I see. The recent information leaks gets me even more excited. Wall-Running - After playing Titanfall, a game that really allows you to chain your movements and jumps together, jumping in Advanced Warfare always felt awkward. Yes, The vertical element was there, but not having the ability to run across walls was a real let down. Good news though, it looks like Black Ops 3 will be correcting that, which is a huge plus from me. CO-OP Campaign - Yes!!! Finally. I remember back in the day talking to Richie about going through World at War on CO-OP when it was expected to have the feature. It did not, so all expectations were crushed. Leaked information for Black Ops 3 though states that it will have a CO-OP Campaign. Its taken forever for this to happen to the Call of Duty franchise for some reason, but I am excited it finally is. Maybe I can peel the guys off Destiny for a little go through. "No?" well at least the features there. Only problem I have is the stories setting. 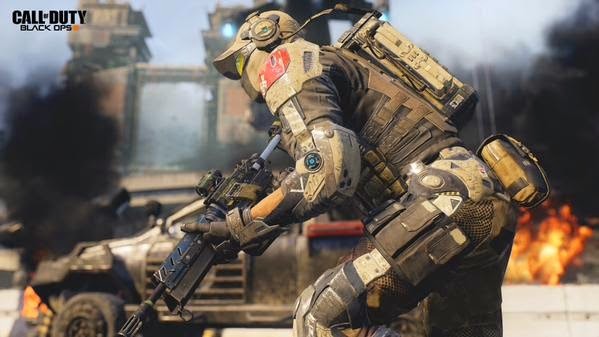 It honestly feels like Ghost, Advanced Warfare and now Black Ops 3 are all in the same universe. A little too much future warfare going on, but honestly, where are they suppose to go? With all the elements added to multiplayer from the future tech (exo's and aerial game) you cant really step back to World War 2 or Vietnam and not have those multiplayer aspects there. It would really piss off your fan base. Damned if you do, damned if you don't situation. 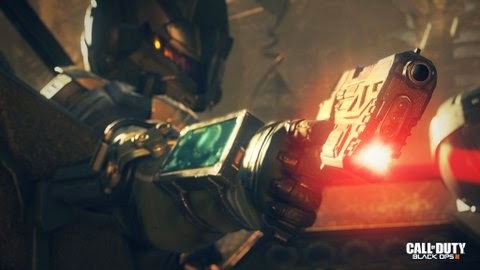 Good thing is Treyarch has done an amazing thing with the Black Ops story so far (the first one was absolutely amazing). So if its great enough, I can forgive the era in which it occurs.